Happy Friday! Today, we predict there's at least 5 to 10 TN Kids bandmates relaxing on a beach somewhere - probably drinking mai tais. That's because, while it's hard to believe, today is the ONE WEEK anninversary of the CLOSE OF THE 20/20 EXPERIENCE WORLD TOUR! So we wanted to take the opporunity to share with you a few more photos and memories behind-the-scenes and on stage of those powerful last two nights on stage at the MGM Grand Garden Arena in Las Vegas, NV. We love these shots because you can tell just how hard each member of #JT2020Tour is working - from Justin mesmerizing the crowd on the bridge, to each TN Kids dancing and shredding their hardest. Meanwhile, we want to take this moment to allow all of you TN Kids to share your favorite memories of the tour in the comments below! A Justin Timberlake concert is like a Rod Stewart or Bruce Springsteen concert is to my mom, or a Crosby, Stills, Nash concert is to my dad. I have followed his music from the time I was a teenager to now when I am a married 30 something with a career and a home. It never gets old and I never grow tired of listening to the amazing music that he puts out for all of us fans to enjoy. I have had the privilege of seeing 9 concerts and WOW what a performer. My husband knows the best gift for me is two tickets up close at any JT concert , and he never lets me down. My students love to hear my concert stories and we jam out to his music during free time. I may not be able to sing but that doesn't stop me from belting out the lyrics to any JT song playing on my radio. This past tour I flew to Baltimore to see JT and it was amazing. Now I sit and wait for the next album to be released, What City will I visit next to see This amazing performer light up the stage!! Thank you JT and the Tennessee Kids what can only be described as the best show in town!! #ThankYouJT i love you so much you make my year with this tour i was blessed to be part of the tour and i hope its happen again on you're new world tour you do amazing work you & the Tennessee Kids i love you all you're in my blood hart and soul this love never stop for a second we are just one big united family forever!!!!!!!!!!!!!!!! #ThankYouJT for the two breath taking, amazing shows that I got to see. There's no one on this earth that is as passionate as you are at what you do... In my opinion. It's truly inspiring. The shows were everything that I wanted it to be plus more. Keep on rockin it out!!! ???????? #ThankYouJT for coming to St. Louis! It was my first show and you and The TN Kids did not disappoint. In fact, it was the best show I've ever been to. You have set the bar high for all other performers! ???? 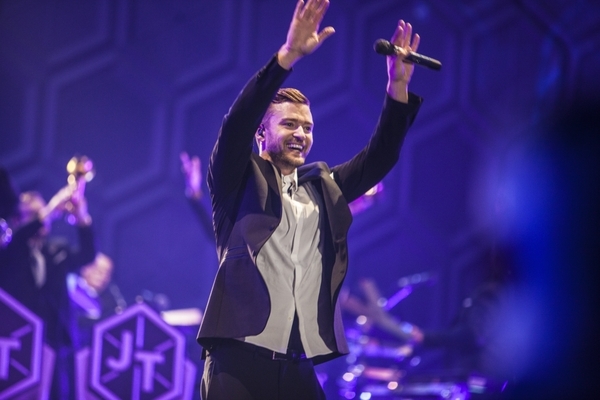 #ThankYouJT for being you! You helped me get through the worst health year of my life by entertaining me, inspiring me, and making me laugh...on and off stage. I will forever be grateful. #ThankYouJT for the memories. I made you a video with your and The TN Kids photos. I hope you like it! ???? My daughter and I saw Justin the second night of the 20/20 tour on November 7, 2013 in Hartford, CT. We were in awe of the show he put on with the TN kids. Fast forward to December 13, 2014, over a year later at Mohegan Sun, another amazing concert by the incomparable Justin Timberlake. Perfection from the first to the final note. These two concerts will be the most incredible performances we will ever see (until he tours again) Justin, thank you for giving us more than we could wish for in a concert experience. We love you. I have been a dedicated fan since 1997! I was raised in a poor household in Colorado, and never had the chance to see you! Nevertheless, I never stopped supporting your endeavors! January of last year *17 YEARS LATER* I made it my goal to see you live, and in person. It was the most I've ever spent on mediocre tickets, but it was a dream of mine! I only wish that your long awaited fans will get the opportunity some day, like I did! The show was great! You, the TN Kids, and Dancers were amazing! & Thank you, to whomever had the bright idea of moving the stage throughout the venue/arena!!!! !